These tables are 18″ wide. 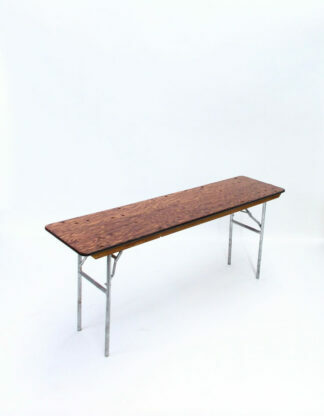 For 6′ long meeting tables use 78″x132″ Linen. 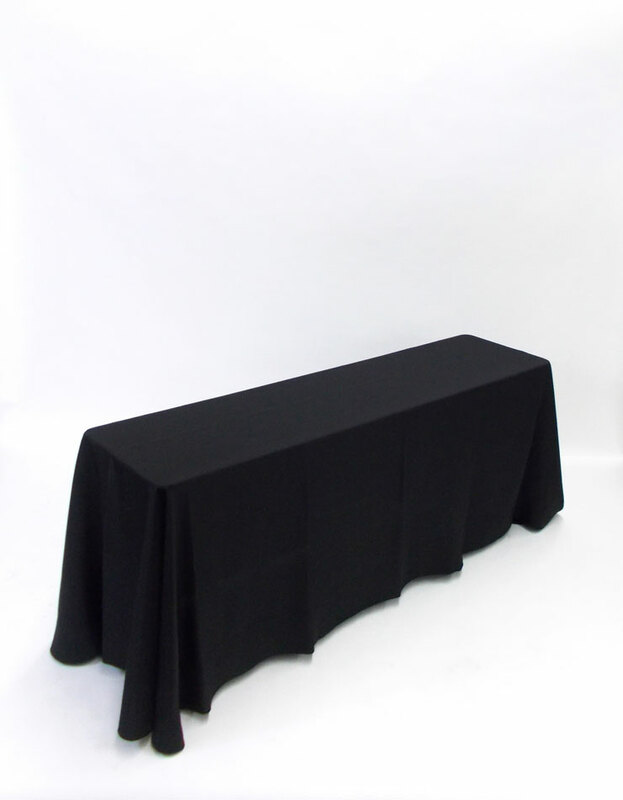 For 8′ long meeting tables use 78″x156″ linen.